Last Tuesday, June 12th, during the ceremony closing the 2011-2012 academic year of the Reina Sofía School of Music, Maestro Ralf Gothoni received from Her Majesty the Queen of Spain the award of this high educational center. The award ceremony took place at the Palacio Real de El Pardo during the Gala closing the 2011-12 academic year of the Reina Sofía School of Music. Since 2006 Ralph Gothoni is Head of the Groups with Piano Department of the International Institute of Chamber Music of Madrid, an institution created by the Albéniz Foundation in order to have available in the capital of Spain a chamber music center based on excellence and of international characteristics, whose academic direction falls on the Reina Sofía School. With this distinction, the School recognizes the academic and artistic educational work of Maestro Gothoni, head since the 2005-2006 academic year of this center of high professional education, unique in its activity, as well as invited professor within the framework of the master classes programme – since 2001 – and of the Santander Encounter of Music and Academy. 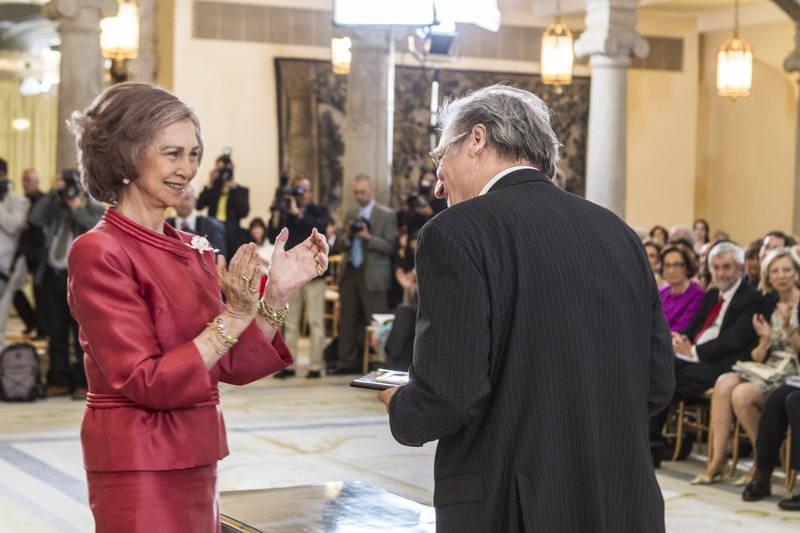 During the same ceremony, Her Majesty also presented an award to Günther Pichler, Head of the Department of Chamber Music in Madrid, and the prestigious Yehudi Menuhin Prize for the Integration of the Arts and Education to the pianist and pedagogue Menahem Pressler. The ceremony closed with a concert with Maestro Maximiano Valdés conducting the School’s SONY Chamber Orchestra, with soloists Zakhar Bron, Head of the Telefónica Violin Chair, and his pupil Ellinor D’Melon, with a programme that included Richard Wagner’s “Siegfried Idyll” for chamber orchestra WWW 103 and Johann Sebastian Bach’s “Concerto for two violins in RE minor BWV 1043”.